Thanks to Smithfield Hometown Original Fresh Breakfast Sausage, I can simplify my morning breakfast preparations especially during these hectic holiday mornings! This is a sponsored post, but all views and text are mine. It’s that time of year! Thanksgiving holiday is over and in our house, Christmas holiday preparations are under way. Have you started decorating for Christmas yet? I usually take one holiday at a time. But this year, I’m getting ready for the holidays early and I absolutely love it! I love getting my home ready for the holidays and it’s this time of the year when holiday mornings get hectic. So it’s great that I can simplify my breakfast preparations with some of my easy, make-ahead breakfast recipes so that I can spend more time to enjoy my family and less time in the kitchen. We’ve been loving quiche for breakfast and it has become one of my go-to breakfast recipes. It’s such a versatile dish and still tastes amazing even after it has been frozen and thawed. I love to make more than one batch at a time, so I can have a fresh one on hand, and freeze the second for a breakfast in a pinch! 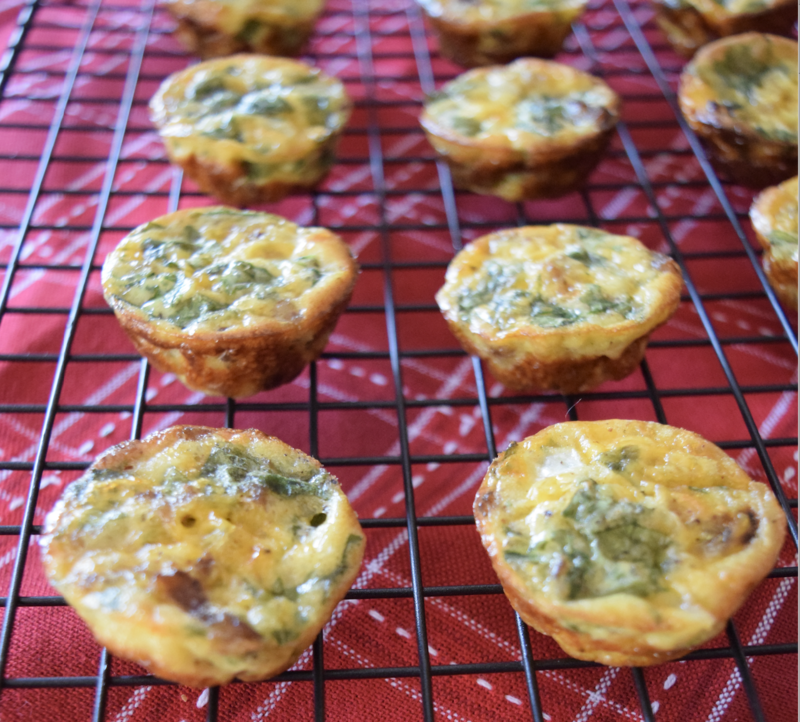 Another great way to have quiche is to make individual portions by baking them crustless in mini muffin tins. It’s so simple to make these quiches and cooks faster than it would in a pie crust. Not to mention, you can save time in the kitchen because you don’t have to make homemade pie crust, cutting out the crust and pinching it into the muffin pan. And I love that it is healthier too! What’s not to love? 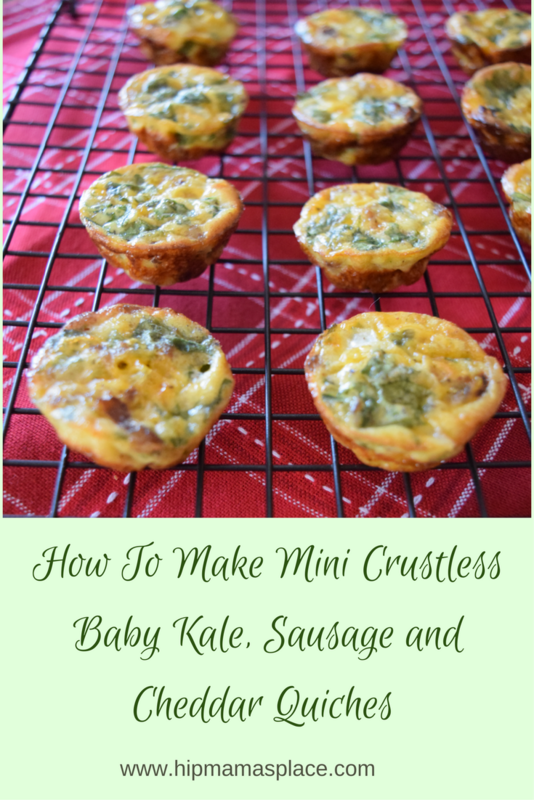 You’ll be surprised how easy to make these Mini Crustless Baby Kale, Sausage and Cheddar Quiches! Preheat oven to 350?F and spray a muffin pan with non-stick spray. 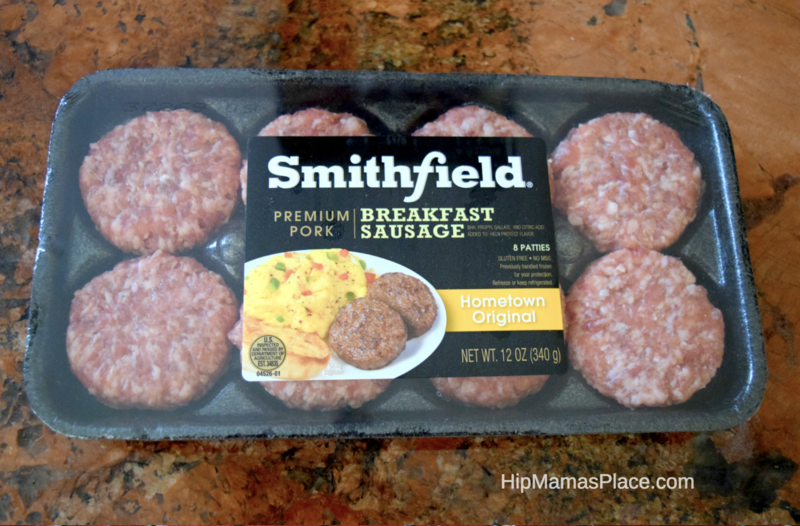 Cook the 3 Smithfield Hometown Original Breakfast Sausage patties according to package directions. Let it cool and then chop into very small pieces. In a medium-sized mixing bowl, combine eggs and half and half and whisk together until fully combined. Add in the seasonings, baby kale, cheese and breakfast sausage and stir together well. 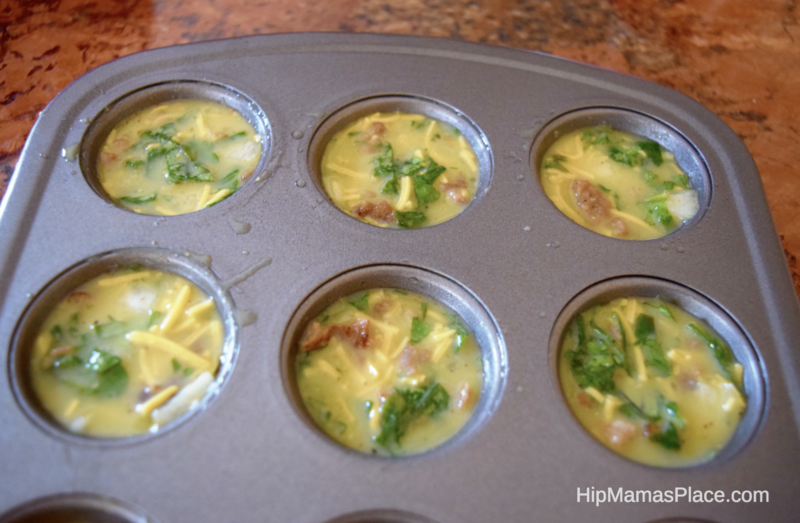 Divide the quiche mixture evenly among the 12 muffin pan holes. Top with more cheese if desired. Bake in the oven 25-30 minutes, until the eggs are set and starting to get golden brown. Remove and let cool slightly before removing from pan to cool completely. Store in the refrigerator or freezer in an airtight container until ready to serve. Serve warm. One of the main ingredients in this quiche recipe is Smithfield Hometown Original Breakfast Sausage. Smithfield’s line of Fresh Breakfast Sausage is made of premium, high-quality pork, and are gluten free and contain no MSG. Add big flavor to any breakfast and brunch dishes with Smithfield’s breakfast sausages! They are available as links, patties, and rolls in an array of flavors including Hometown Original, Hot, Bacon, and Maple. 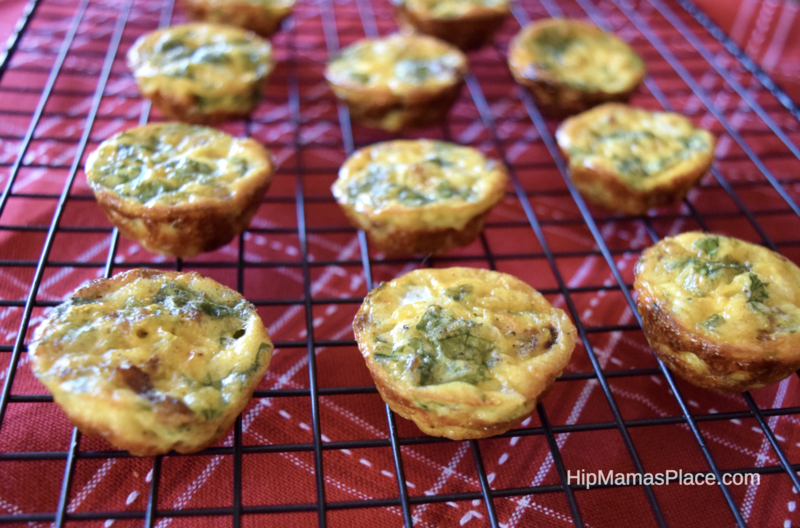 They’re great on their own, added to a flavorful side dish, or worked into a wholesome breakfast dish that can be enjoyed any time of day, just like I did here with these delicious mini quiches! During the month of December, Smithfield is giving away a prize every day to members signed up for their rewards program, Smithfield Rewards. As part of 31 Days of Smithfield Cheer, there will be daily and weekly prizes as well as a grand prize of $5,000 to pay off holiday debt! 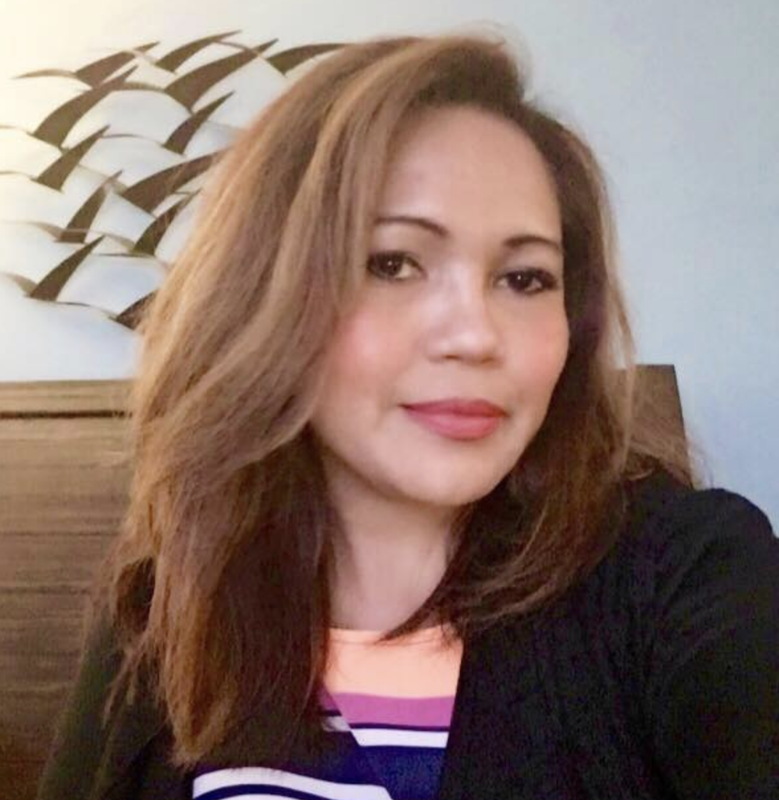 All consumers have to do is log-in or create an account, and visit the holiday hub page, to be entered for the chance to win any of the sweepstake prizes, including gift cards, a shopping spree, and night out for the New Year. 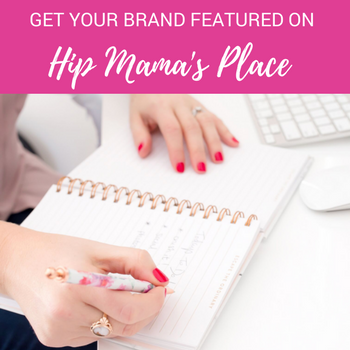 Be sure to use the secret word: HIPMAMA when you register before December 31, 2017 and you’ll be entered for a chance to win a trip for four to Beaches All-Inclusive Resort – Jamaica! See Official Rules for more details. Cheddar makes so many things taste better. 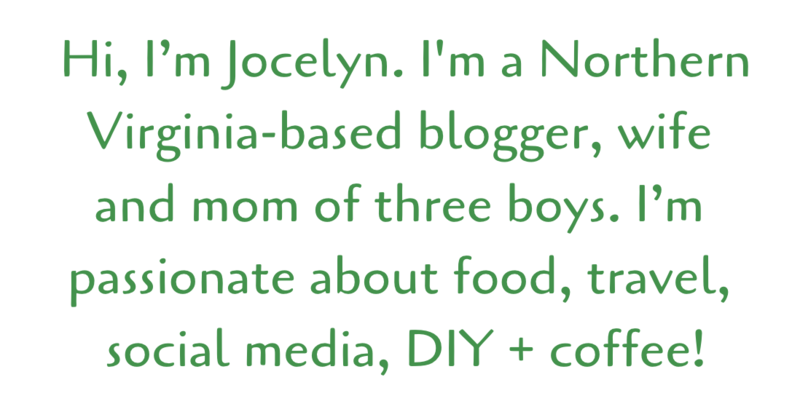 A quiche is a perfect breakfast option and your recipe sounds like a great idea, Jocelyn. A perfect combination of ingredients. Can I use red onion in addition to the green one? My wife teases me saying she doesn’t know another guy who loves eating quiche as much as I do. Will have to give this recipe a try! I am starting my low carb eating back up and I am definitely going to try these. Thanks for the recipe. These mini quiches look delicious! By getting rid of the crust you are saving tons of calories, great idea! Yum! I bet hear are amazing! I love that you’ve added kale to the recipe what a great idea! I love that these quiches are bite sized. Great for to-go breakfasts! I will save this recipe and make some tomorrow. Thanks for the idea. Love that it is crustless too. That will save me a lot of time. Mmmmm these are super cute and look delish! They would be a great breakfast to stay healthy with! These sound so good! I can’t wait to make these! These look so yummy! I am a huge fan of quiche. These would be perfect for a baby shower brunch I am hosting. They are soo cute too. Really great breakfast idea! I am always looking for new breakfast recipes because brunch and breakfast are my favorite meal! 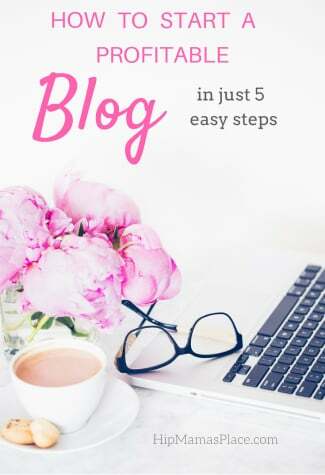 This seems easy and looks adorable! These look delicious. I love quiche, but haven’t had it in so long. I love the way you made these smaller like this. Perfect for bite size pieces. What a cute idea – these look so yummy. I like the idea of making a bunch of these and then saving them. Since it doesn’t have a crust, you don’t have to worry about crisping it up too much. We love quiche and I’m sure we’d love these. My kids love this kind of quiche. I make this for their school lunch sometimes. It’s great with tomatoes and bacon also. Now these look like a yummy and filling breakfast! Plus I could totally see taking these on the go!! YUM! These are perfect for holiday entertaining. I do love to serve a good quiche and the minis are good appetizers. These quiches look really good! Would be perfect for grab n’ go breakfast for my kids! These look really good! Would be perfect for grab n’ go breakfast for my kids! This looks really nice. Each bite seems like it offers a really good taste. Yum! oh these are way too cute. such an easy breakfast idea. i know my kids would love these too! I am such a huge quiche fan. These look really easy to make! Ooh these look good. This is a great recipe to make to prepare for the week. That sounds so good. I have been trying to find healthier recipes and this fits. I could make a big batch and reheat through the week. I don’t know why, but mini foods always taste better to me. I am sure these mini crustless quiche would be no exception. I saw this on facebook and had to come check it out! 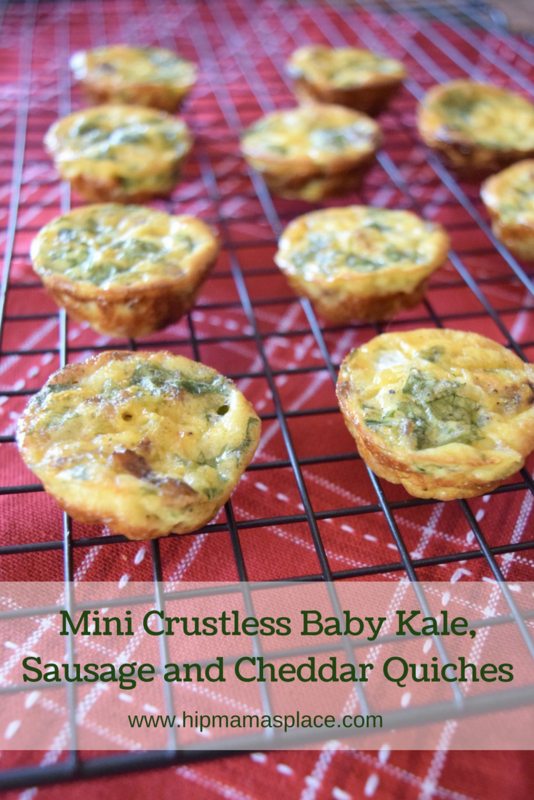 I love quiche so these mini quiche are right up my alley! Totally making them! Thanks for the recipe! I have been looking for some new breakfast ideas. I will have to get the ingredients I need to make some this weekend. I am sure they will be a big hit. I love making quiche for the holidays! I so need to try this recipe! I love preparing mini quiches when entertaining at home. These are so easy to make and look so good! Quiche is one of my fave recipes to make because it’s so versatile and easy! I think this one’s a must try! I love that it’s in mini servings! You have to be mom of the year to serve those great looking quiches for breakfast. My husband loves sausage and cheese so he would love these. I’ve never had kale, but I love various quiche recipes I’ve tried. This looks really good! Now these sound like they would be right up my street, I love a good quiche but often leave the crust so having a crustless yes please! These quiches look amazing. I can definitely see them being wonderful with breakfast! These look so delicious! We always have a huge Christmas breakfast, and I will have to add these to the menu! They will be perfect and so easy to make! Yum! This looks so good! I love breakfast foods like these! Those look absolutely delicious. Those would be great for a quick morning breakfast when I am trying to eat healthy. This is definitely what I’m looking for. I need to eat better but I do like foods like this. This is such a good idea my mouth is salivating just thinking about it. These would be wonderful for any holiday menu. They would be so great to serve in a buffet-style party! I’m normally not a fan of kale, but I am a fan of quiches. This looks like it would be super yummy and a great way to start the day. We love munching on mini food. It just makes it more fun, right?! These sound so good! Perfect for a holiday breakfast, weekend breakfast, and for all the guests people have around this time of the year. Those are great! I think little single serve portions are always a fun way to serve meals. These are perfect for brunch! Those look so good AND so cute! I love making single serve dishes like this. I think they’re fun. These mini quiches sound so good. I haven’t had a quiche in ages, but I am excited to try these.